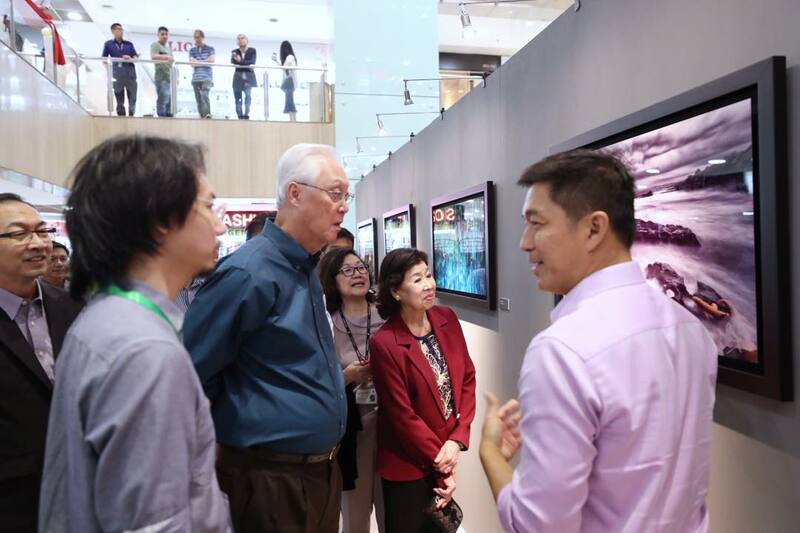 Emeritus Senior Minister (ESM) Goh Chok Tong visited Speaker of Parliament Tan Chuan-Jin’s photography exhibition this afternoon and revealed on social media that Tan has already raised $600,000 through his exhibition, that will go towards 13 charities. An avid photographer, Tan organised the fund-raising exhibition entitled ‘Our Place In The World,’ as part of Singapore’s bicentennial celebrations, that commemorate the 200th anniversary of Sir Stamford Raffles’ arrival in Singapore in 1819. The exhibition, which shows pictures taken by Tan in 20 countries over the last two decades, aims to raise funds for 13 charities, including Care Corner Singapore, Centre for Fathering, HealthServe and The Turning Point, and The Straits Times School Pocket Money Fund. The exhibition is on display throughout the month of February at Far East Plaza Level 2 Concourse and is open to the public.